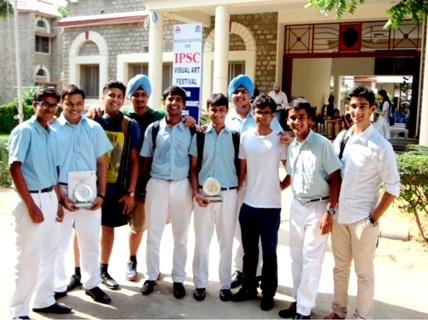 At the end of August, the school represented by a team of ten took part in the IPSC Art Competition against twenty other schools. Amartya Tirtha Bhowmick and Digvijay Gupta who won 1st position for Digital Art. Other team members achieved third and fourth positions for other categories.